Our Uganda safari holidays take you to the most remote areas in the pearl of Africa and also to visit the Mountain gorillas in Bwindi national park and Mgahinga national park. Our safaris also take you to visit the source of the Might river Nile and also to relax at one of the world’s Fresh Water Bodies Lake Victoria in Ssese islands. Before we take you to meet chimpanzees in Kibale national park or even meet the most welcoming people in the world – Ugandans. Allows us to give you a highlight about Uganda as a country. Uganda is a land locked country that is located in Eastern Africa. It is bordered by Kenya in the East , South Sudan in the North, Dem.Rep of Congo in the West , Tanzania in the South and Rwanda in the South Eastern boarder. Because of its beauty and the nature of its environment, it was named the pearl of Africa by Winston Churchill. Kampala is its capital with a population of about 1.2 million people. In general, Uganda has a population of approximately 3.4 million people. These belong to different tribes and speak different languages. For this reason, Uganda has a very rich culture. The official language spoken in Uganda is English, but locally Swahilli and Luganda are the most commonly used Languages especially in the city centers. Other languages like Luo, Lugishu, Lunyakitara, Lusoga to mention but a few are also spoken by the natives. 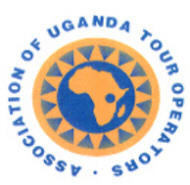 Uganda’s economy depends on agriculture but due to the prevailing global weather changes, the trend is changing to others like tourism, and industrialization. The biggest part of Uganda has fairly constant altitude with highlands and mountains in the east and western part of the country. Temperatures range between 25C and 30C during the day. At night, the temperatures fall to about 16C. In case you visit Highland areas like Mountain Rwenzori, Mountain Elgon, the temperature are cooler than any other area. All in all anytime of the year in Uganda is good for a Uganda safari, however most people prefer to visit Uganda during the drier months of June to September. Please be warned that Uganda being on the equator and also with the ongoing climatic changes, we sometimes receives showers even during the months of June to September. Uganda visas can be applied for online and all you need is your passport or travel document, a scanned copy of your yellow fever certificate and also a Credit card to pay for the Visa online. Please follow this link to apply for your Uganda. Uganda has freedom of worship and this gives people liberty to pray in there own way. The cardinal religions however are:-Roman Catholic, Anglican, Muslim and others. These each has a cathedral place of worship. The Catholics have Rubaga cathedral, Namirembe Cathedral for Anglicans and Kibuli Mosque for the Muslims. All these are situated on hills and may be viewed from different points of the city. Currency exchange in Uganda while on safari. The Ugandan shilling is the prevailing currency in the country however US dollars, Euros, Pound Sterling are also acceptable at different forex bureaus in most large towns. You may obtain local currency from ATMs and credit cards may be used at selected ATM’s and also from any Banks in Uganda. 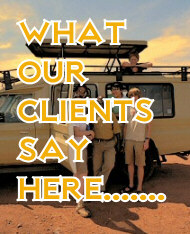 For more information about our prime Uganda safaris and tours , please send us an email. Is Uganda safe to visit for a tour or safari? Yes Uganda is safe to visit and as you might be aware Uganda is one of the most welcoming countries in the world. And one of the best countries to raise a Family. Yes we agree that the world knows Uganda because of its Bad history with Idi Amini Dada and the Rebels Kony. However I want to assure you that Uganda has been safe to visit for the past 15 years.